"400 Years of Western Art: From Poussin to Matisse"
Over the exhibition of Marc Chagall finished with a full swing, the art fans in South Korea get another opportunity to enjoy a blockbuster exhibition of Western art in Seoul. 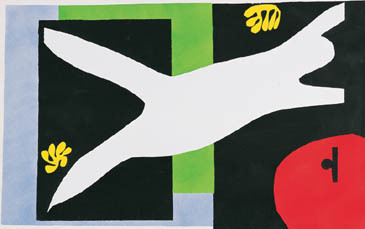 This time a total of 119 great works by not just one, but 88 world-renowned master painters are shown at Hangaram Art Museum in the Seoul Arts Center through April. 3, 2005. Titled "400 Years of Western Art — From Poussin to Matisse," the show introduces how the major trends of art had been developed in Europe from the 17th to 20th century. The exhibit is divided by century into four sections and displays the original pieces of the representative painters of each era. 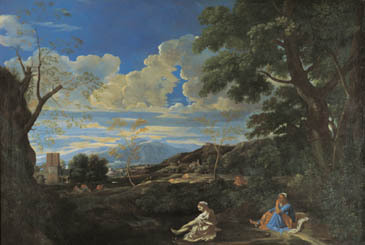 The major artists in the show are, for the most part, familiar with us and have long been introduced in textbooks with their masterpieces — Nicolas Poussin, the 17th century French Classicist and the originator of the French modern art; Jacques Louis David, the 18th century Neo-Classicist of "The Death of Marat" and his disciple, Jean-Auguste-Dominique Ingres of "The Spring;" Paul Gauguin, the 19th century representative Post-Impressionist; Henri Matisse, the 20th century Fauvist who left a great impact on contemporary art just to mention a few. 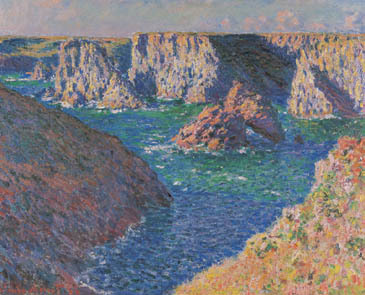 The paintings are from eight major French museums including the Louvre, the Museum of Orsay, and the Reims Museum of Art. The large-scale event was co-hosted by the Reims city government in France and Seoul Broadcasting System (SBS) and organized by GNC Media, which arranged an exhibition of paintings from the Museum of Orsay in 2000 and a retrospective of Jean-Francois Millet in 2002. 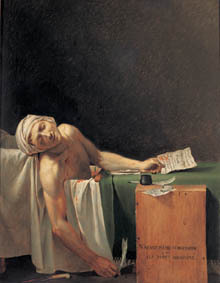 Among the major art pieces, "The Death of Marat" by Jacques Louis David went through the process of scrupulous restoration for more than 10 months by the French governmental research center in order for audiences in South Korea to appreciate the picture in its best condition. Thanks to the laborious work, viewers can easily experience the dramatic moment of the famous French revolutionist's demise. 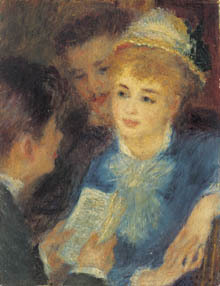 Auguste Renoir's "La Lecture du Role" is also worthy of close attention. With its size even smaller than a postcard, this mini piece had never been displayed outside of France because of the high risk of robbery. But due to the special frame exclusively produced for this event, the smallest painting of Renoir could take its very first overseas trip to Korea. 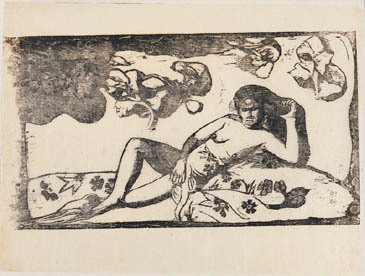 "The Spring" of Jean-Auguste-Dominique Ingres is also posing in the exhibition. Different from the bigger version, which is assumed to be co-worked by Ingres and his disciples, the displayed piece in the show is the early original version, which was carefully kept at the garnering depository in the Louvre. One tip for enjoying the exhibition to the full — The paintings are excellently arranged for the theme "The Grand Argument over Line and Color." Following the master works, try to figure out the 400-year-old mighty dispute between unrestrained wild style with sensuous colors and the rational academism with austere lines, which were finally harmonized into the modernism and gave a birth to the abstract art in 20th century. For more information call 02-2113-3477 or 02-2113-4997, or go to its official site (in Korean only). Ms. Lee Hyun-Ju is serving as staff reporter for The Seoul Times. She studied journalism and mass communications at Ewha Womans University. Being a muti-lingual Ms. Lee covers news in diplomatic and other cultural areas.